Employees work in different ways and benefit from having options for how to approach their work throughout the day. 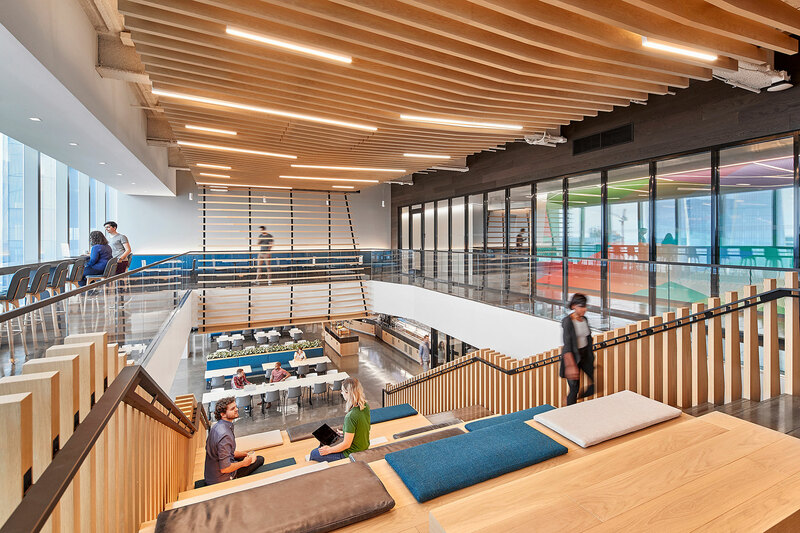 Workspaces combined with spaces to socialize or learn are equally helpful to shaping careers. 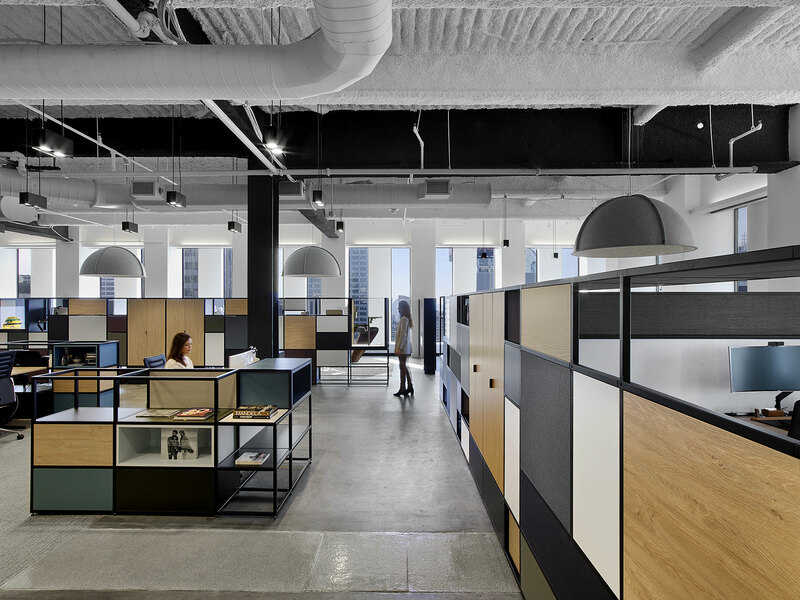 Offices that leverage design to cultivate talent help employees stay focused and grow. The result is a vibrant community that supports each other and the company’s mission. Employees at Hudson River Trading complete tasks at tables around the office or even on the stairs. LoyaltyOne’s open plan and unassigned desks optimize the space for scheduling meetings and communicating face to face. 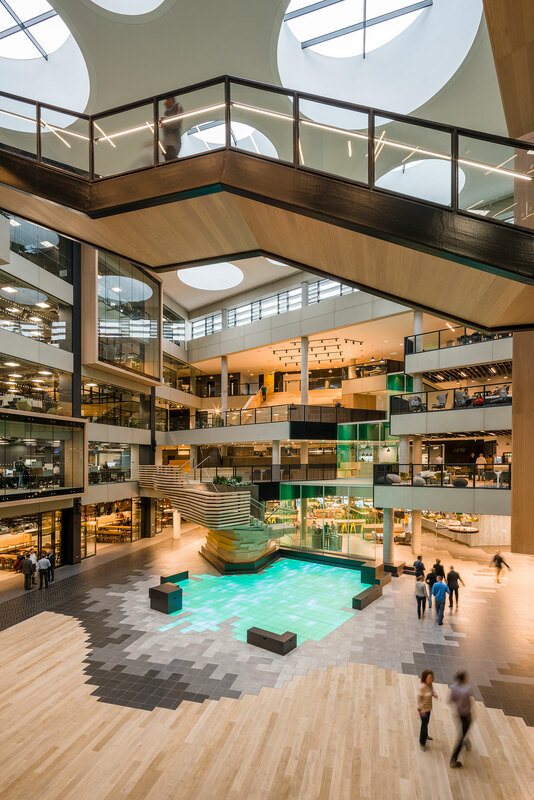 Microsoft created a design concept in their Dublin headquarters called Microsoft Island. 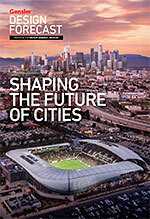 From developers who seek peace and quiet to salespeople engaging visitors, the program maps out something for everyone. Companies are attracting new talent and offer the ability for new residents to connect and contribute to surrounding communities. 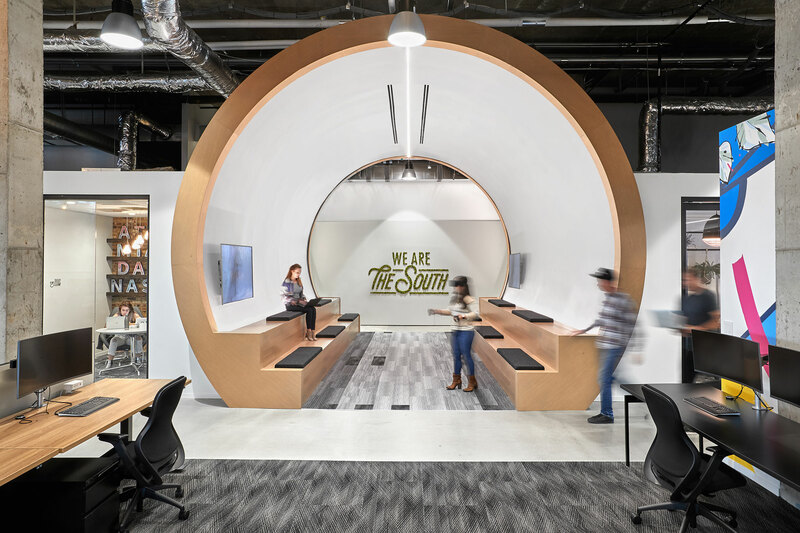 Software company NCR invites the public into their space with a coffee shop and amphitheater-style stair for guest lectures. 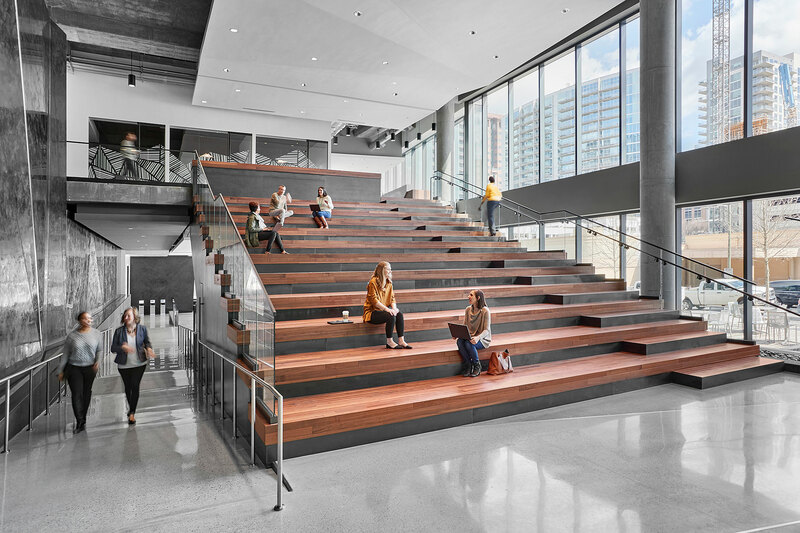 Adobe’s newly reimagined headquarters transforms the employee experience by encouraging interaction and reinforcing a sense of community that inspires exploration and participation. Teams at the 21st Century Fox headquarters were originally spread across many floors. Now everyone is right in the middle of the action with an airy and engaging layout. 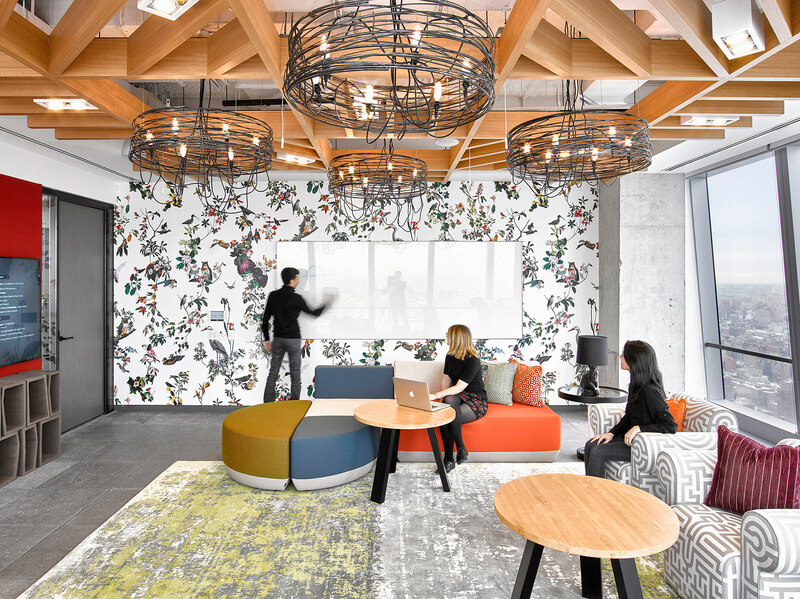 The team management group at Boston Consulting Group spend a lot of their time out of the office and the new space brings people back together to better connect. Employees at Red Bull take breaks inside the Activity Can to relax. The Hyatt Global Headquarters in Chicago is designed to explore new ideas about the guest experience. An immersive experience tells stories and inspires employees. 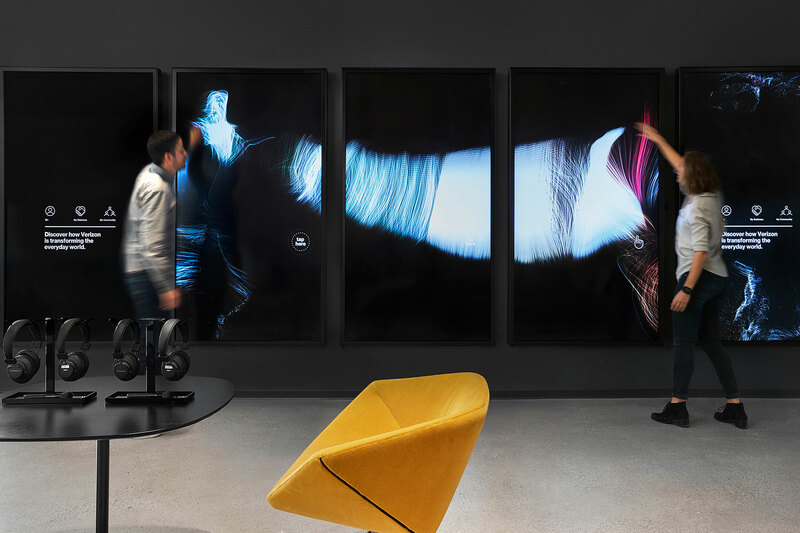 Verizon’s interactive touchscreen displays have employees moving around and learning more about the company as content playfully disperses into colorful particles.